Will Washington’s 2013-14 Legislature support paid sick days and paid family and medical leave insurance? All the seats in Washington’s House of Representatives and half of the seats in the Senate will be on the ballot this November. 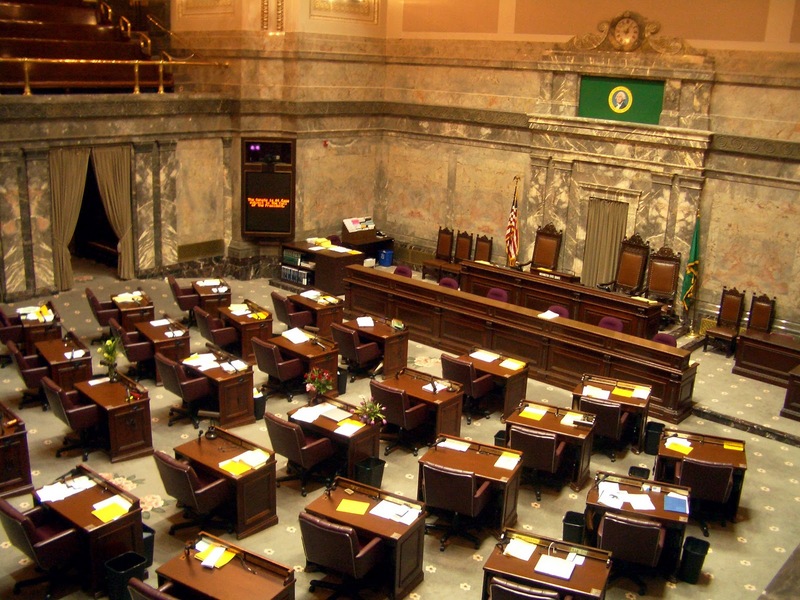 Washington’s regular 2012 legislative session ended without action on the Paid Sick Days bill. The special session that convened in mid-March is focused on the state budget. Paid Sick Days: The City of Seattle as well as several other cities and the state of Connecticut have established minimum standards for paid sick leave, to protect public health, family economic security, and worker productivity and business health.In Seattle, businesses with between 5 and 49 full-time-equivalent employees (FTEs) will be entitled to up to 40 hours of sick leave per year; those with 50 to 249 FTEs have up to 56 hours, and larger businesses will be required to provide up to 72 hours per year. Would you support adopting a similar standard for all workers in the state? Family and Medical Leave Insurance: In 2007, the Washington State Legislature passed Family Leave Insurance that provided for individuals to take up to five weeks of paid leave to care for a new born or adopted child. However, the legislature did not set up a mechanism for funding the program and has postponed implementation until 2015.Other states, including California and New Jersey, have successfully established programs that provide 6 weeks of partial wage replacement to care for a new child or sick family member, as well as more extended leave for the worker’s own serious health condition, funded through modest payroll taxes. Would you support expanding and funding Washington’s Family and Medical Leave Insurance program as other states have done?